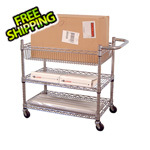 This Luxor LICWT3014 adjustable wire utility cart is the perfect solution for transporting large boxes, envelopes, and supplies in your office, hotel, garage or warehouse. It features one, 3 1/2" deep bin and two shelves. 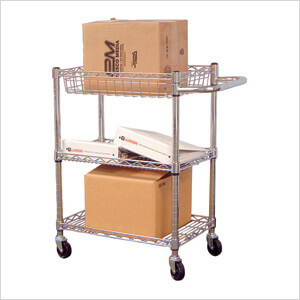 Each shelf's height is adjustable in 1" increments. 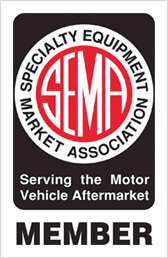 Four, 3" swivel casters, two locking, allow for easy maneuverability. 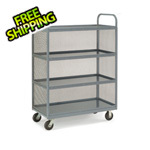 The Luxor LICWT3014 three shelf wire mail cart measures 14"W x 24"L x 32"H.